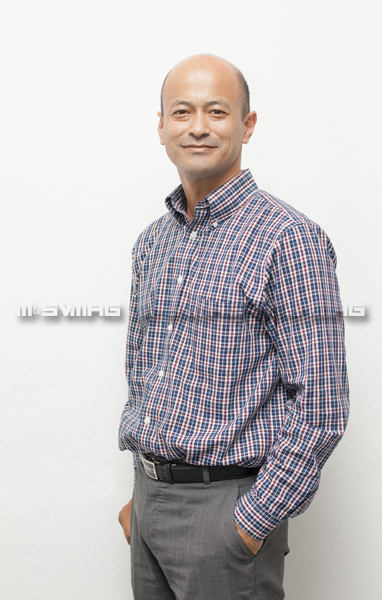 Amrit Tuladhar, the managing director of Muncha.com, has never lost his faith in his venture. When he started out 16 years ago, there were no support structures for e-commerce. Yet he stuck to his guns and ploughed on ahead. He tweaked his model, built his own support structures and kept experimenting with new ideas to add on to the older superstructure. Today, Muncha.com has grown into an ecosystem which is poised to grow even bigger. How did you come up with the idea for Muncha.com? The idea for Muncha.com came from Muncha House itself. I grew up watching my father work in the retail business and that really helped me develop my business skills. I returned from the US after getting my MBA from Marshall University, West Virginia, in 1995, and then I worked at Himalayan Bank for some four years. But I always wanted to start something of my own. When the idea for Muncha.com was conceived, I decided to go ahead with it; I thought it could do really well. All I wanted to do in the beginning was to use the internet to sell the products carried by Muncha House. We like to say that Muncha.com started with two-and-a-half people. My business partner and I used to look after everything from management and administration to marketing and supply. We had a person for delivering the products, but because we did not have that many orders, he was only a part-time employee—the half in my earlier quote reflects the fact that we had only two fulltime employees. We had to incur losses for a really long time, but we had low cost structures and support from Muncha House, so we could keep going despite the business’s not being profitable. You started Muncha.com when the e-commerce industry was still in its infancy. What difficulties did you have to face in the beginning? When we started Muncha.com, in 2000, the market fundamentals were markedly different. The concept of e-commerce was not popular in Nepal; even in the developed countries it was only in its introduction phase. Before starting the business, we had thought that all we would need for Muncha.com was a standard website. But we soon realised that there were other factors that were going to affect its workings. There were no support structures for payment systems and online advertising networks, among others. Also, people were not open to the idea of shopping online because of trust issues. I realised that Muncha.com had been created a little too early for the Nepali market. It took a long time for people to understand the concept of e-commerce. How did you not lose faith in your idea? The reason I stuck with Muncha.com was that I believed that the internet was the future and that the place for e-commerce in the world was assured. It was just a matter of time. In the beginning, I had hoped that it would take some two to three years for the Nepali market to evolve and for our business to be accepted by Nepalis. But it took a lot longer than that. Even now, e-commerce hasn’t reached its full potential. The offerings from companies are also limited, and people still don’t make use of all the services. But the strengths of ecommerce far outweigh the weaknesses, and that is what keeps us going. How has Muncha evolved with the changing market dynamics? When we started out, the vision was to make Muncha.com a popular shopping website, but because of the lack of support systems, we had to stick to being an online gift site for Nepalis living overseas. Over the years, we decided to build our own support systems. In 2007, we created our own online payment gateway, iPay.com.np. iPay is now used for more than just purchasing products from Muncha. It can be used to top up phones, pay utility bills and to buy airline tickets. Around two years ago, we also started our own advertising network, iAds.com.np, because television and print are not suitable platforms for promoting online businesses. Now, Muncha has become more than just an online shopping site. Now there are many e-commerce sites in Nepal. What do you think of the increasing competition? I think the competition has been really helpful. With the increasing competition, we understand that we need to position ourselves differently from other businesses. Expanding our services all over Nepal and addressing the unique needs of Nepali customers, in places like Biratnagar, Dharan, Chitwan and so on, are among our priorities. What else has Muncha been involved in? We have tried our hand at many ventures, and not all of them have been successful. Technology is developing at a rapid pace, and you never know what is going to work in this sector. For example, in 2002 we had a photography site where customers could place orders to get their photos printed, and we would print and deliver them. That business didn’t work out. Similarly, we also had a website from where people could download movies and music. That business folded too. You can’t expect to make accurate market predictions in this sector. All you can do is keep trying and keep learning, and hope that if some of your ideas don’t work, others will. In a market so unpredictable, how do you prepare yourself for failure? I don’t. I know I can fail, but if I stop and think about it, I know I won’t experiment with ideas. I think if you start thinking that you will fail or prepare yourself for failure, you will position your business such that it will never succeed. Even if there is a slight chance that some idea will succeed in the long-term, I go ahead with it. What is your vision for Muncha? We have already started working on combining all the supporting entities such as iPay and iAds into an integrated system. In the near future, I see Muncha not as a shopping site but as an e-commerce ecosystem in itself. The plans for the company are a lot more expansive and ambitious now.